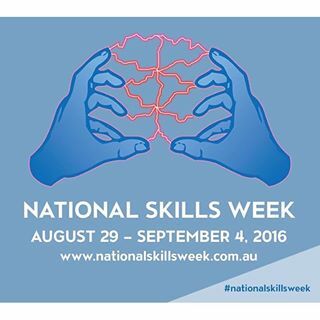 National Skills Week 2016 dates announced! National Skills Week continues to attract overwhelming support following a survey of stakeholders who confirmed the importance of having a dedicated week to highlight VET, Industry trends and the link between training and jobs. It has established an enviable heritage and continues to grow each year. The central thrust of National Skills Week is that it provides the motivation for stakeholders, be they Career Advisors, Industry Associations or a Registered Training Organisation (RTO) to do something that promotes VET and the successful outcomes it achieves for the individual, industry and importantly the Australian economy. We encourage you to put these dates into your diary early and confirm your involvement in National Skills Week. The week, (August 29th – September 4th, 2016) will communicate the emerging trends and new growth drivers connecting skills training with job outcomes.